Yella Beena. A Night in #Tahrir. And here we go. Yella beena. Everyone gets a mask, just in case of more tear gas. I am 5 foot 1″. Approximately 113 pounds. I’m an American. I shaved my head in March for pediatric cancer research, so my hair is short. This haircut gets many stares and comments. As does the fact that I’m obviously a foreign lady. 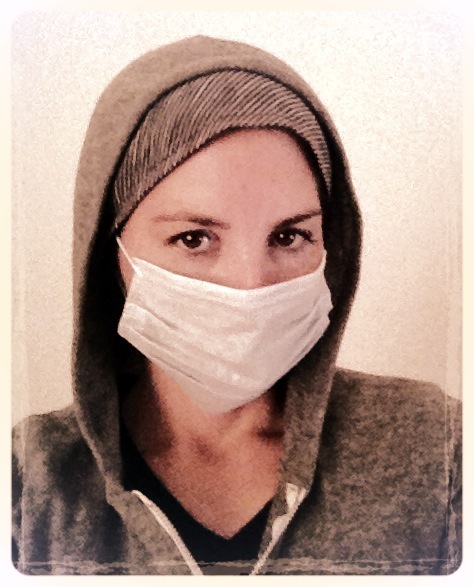 So when I occasionally decide to go out into places such as Tahrir Square, I take extra precautions. Yesterday I walked through the crowd, 2 million strong, sandwiched between two dear Egyptian friends who had my back no matter what. At times, the mass of people was so packed we could not take a single step in any direction. This was not frightening at all because the atmosphere was cooperative. Many women and children in the crowd. A few moments edged on joyous as an elongated, enormous Egyptian flag was passed overhead. Beautiful fireworks above. We passed people selling cotton candy, sweet potatoes, beans, koshary, Kleenex, Guy Fawkes masks, clinical face masks, horns, cups of tea, water, flags, face paint of flags, and jester hats. Twice I passed a young girl of 7 or 8 lost in watching her own flag dance in the breeze. There is a tent city in the middle of the square for vendor families, political groups, etc. to sleep or stay in as the week progresses. Three of the tents are for artists. My friends and I sat in a small roped-off corner section with a group of young activists including a celebrity, an actress from local TV and cinema. She has a face which drew a large crowd of fans with eager cameras. One friend sitting in the center of the group started to lead us all into song, in particular The Ballad of Beans and Meat by Sheikh Imam, a leftist Egyptian singer and composer popular since the 1960s. This all reminded me of a local pub. Where everybody knows your name. A reunion. Revolutionaries pulling the signs out of storage. Nostalgia and hope. 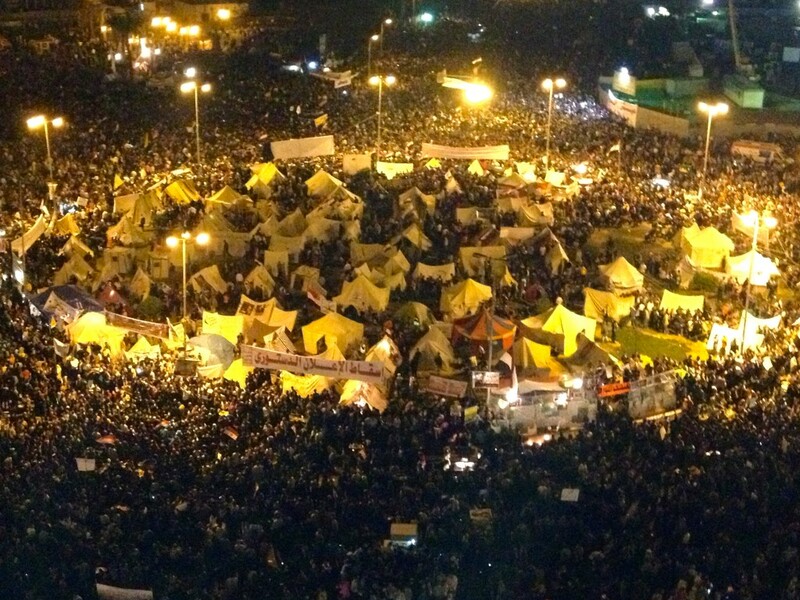 The Egyptians I spoke to know that the revolution is not as easy as those 18 days in 2011. Revolution is never easy. This is going to be a bumpy journey. But now has the feeling of a last chance to get the revolution back on course. You cannot replace a dictator with a pharaoh. You cannot build an Sharia-based constitution out of a cry for Freedom, Bread and Social Justice. Or can you? 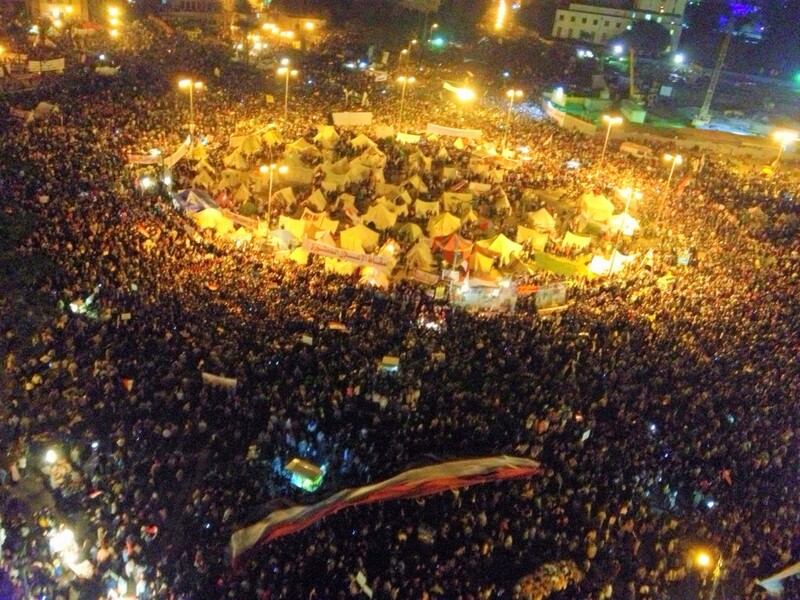 Each area of Tahrir Square had a leader step up from the crowd to lead the others in songs or chants. An enthralling and powerful sound. 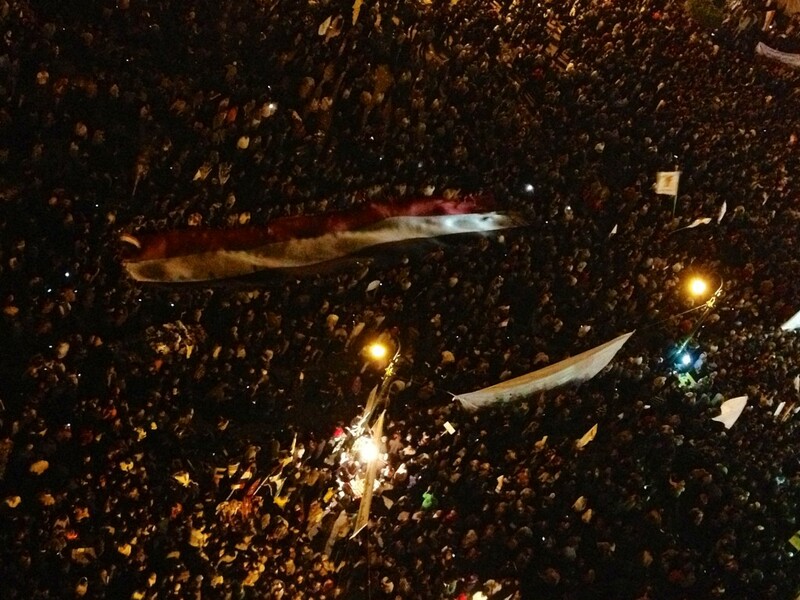 Thousands more people joined in, marching from the far ends of Cairo, packing into the square as the night carried on. The best sight of all was the field hospital on the corner of Talat Harb Street. Other than some small clashes over by the mosque and the north gate wall of the American Embassy, this was a peaceful and promising day. Unfortunately, this coming Saturday, the Muslim Brotherhood has declared they will be taking over Tahrir Square with their own demonstration. With liberal groups holding sit-ins and sleeping in their established tent city, this sounds like a recipe for bloodshed. It is worrying, to say the least. I will stay home on Saturday and apply for work with The Ford Foundation, Amnesty International, and any other opportunities I can find. My hope is that the people there in the square Saturday, on both sides, can learn from one another while sharing a cup of tea. I also hope to do a short performance piece just outside the square. A dance where all who wish to can join in. Probably not Saturday, but soon. Today, there are just small clashes between youngsters and police. I saw an 11-year-old at the Metro station with a face mask and a tear gas canister. Tear gas is the main issue. Much of the tear gas is expired and says Made in the USA. Interesting. Papa John’s refused to deliver to my neighborhood tonight. So we called Pizza Hut. When the delivery man arrived, his face was red and he was crying from riding his motorcycle through all the tear gas. We gave the poor guy some vinegar to wipe his eyes, allowed him some time to recover, and on his way back out, I gave him my face mask (pictured above). loved every word you wrote, i still want you to be careful, keep those bodyguards close. Are you just a little bit scared? Oh my Shawn, what a beautiful post and stunning photographs. How wonderful you get to witness and participate in this extraordinary moment. Our hearts are with you. We miss you tons in Chicago, and are so inspired by your words and deeds, courage and vision. much love to you.